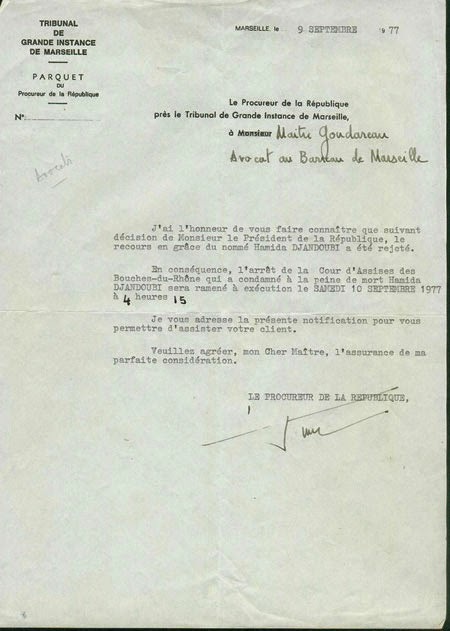 The following document is a written record of convicted killer Hamida Djandoubi's last moments before he was guillotined in a Marseilles prison on September 10, 1977. This record -- dated September 9 -- was written by a judge appointed to witness the execution. 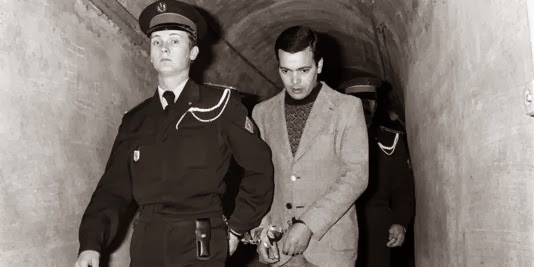 Djandoubi's execution was the last execution carried out in France before capital punishment was abolished in 1981. Then-President Valéry Giscard d'Estaing, who had voiced his "loathing for the death penalty" before he was elected to office, flatly turned down Djandoubi's appeal for clemency and chose to let "Justice run its course", as he did on two previous instances (Christian Ranucci, executed on July 28, 1976 and Jérôme Carrein, executed on June 23, 1977). 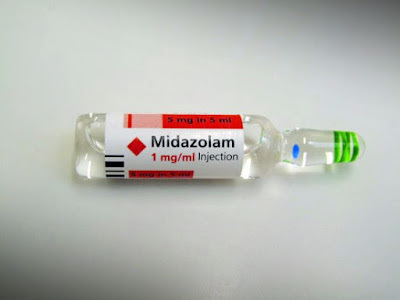 Hamida Djandoubi, a Tunisian national, was sentenced to death for killing his former lover, Elisabeth Bousquet. He was executed in Marseilles' Baumettes prison in September 1977. The following text was written on the night of the execution by judge (juge d'instruction) Monique Mabelly. Mabelly later entrusted the document to her son, who ultimately passed it on to Robert Badinter, the ex-Minister for Justice who successfully campaigned for the abolition of the death penalty in France. Badinter eventually gave the document to the French newspaper Le Monde, which published it on October 9, 2013. The text below is a translation. The French original can be found here. 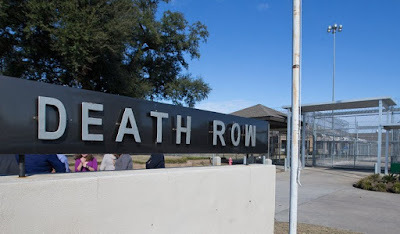 At 3:00 p.m., [presiding] judge R. notified me that I had been appointed to assist with the execution. I feel repulsed, but I can't get out of it. I thought about it all afternoon. My role will consist of taking note of the prisoner's statements. At 7:00 p.m., I went to the cinema with B. and B. B., then we had something to eat at her place and watched a late-night movie until 1:00 a.m. I went home, I did some chores, then laid down on my bed. Mr. B. L. telephoned me at 3:15 a.m., as I requested. I got ready. 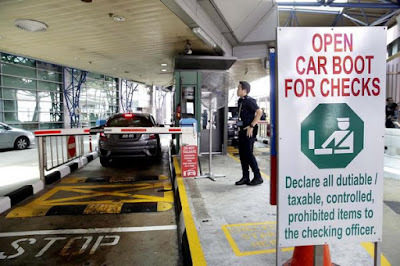 A police car came to pick me up at 4:15 a.m. During the journey, no one said a word. 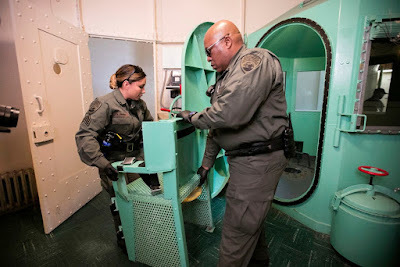 The cell door was opened. I heard someone say that the prisoner was dozing, but not sleeping. He was made to 'get ready.' It took a long time, since he had an artificial leg and it had to be put on. We waited. No one spoke. I think this silence, and the apparent calmness of the prisoner, relieved those present. No one would have wanted to hear crying or protests. The group reformed itself, and we took the path back. The blankets on the ground had been pushed to the side slightly, and we were no longer trying to avoid making too much noise with our steps. The group stopped beside one of the tables. 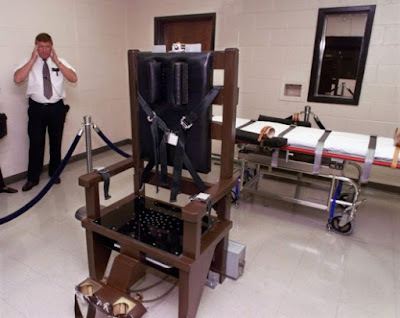 The prisoner was seated on a chair. His hands were locked behind his back with handcuffs. A guard gave him a filter cigarette. He started smoking without saying a word. He was young. Very dark hair, neatly styled. His face was rather handsome, with even features, but he was pallid and had dark circles under his eyes. He looked neither stupid nor brutish. Simply a handsome young man. He smoked, and complained immediately that his handcuffs were too tight. A guard approached and tried to loosen them. He complained again. At this moment, I noticed the executioner standing behind him, accompanied by two assistants. He was holding a cord. Originally, it was intended to replace the handcuffs with the cord, but in the end it was decided to just remove them, and the executioner said something horrible and tragic: 'See, you're free!' It sent a shiver down the spine... The prisoner continued to smoke his cigarette, which was nearly finished, and he was given another. His hands were free and he smoked slowly. I understood then that he was beginning to realize that it was all over - that he could not escape now - that his life would end here, and that the moments that he still had would last as long as that cigarette did. He requested his lawyers. Mr. P. and Mr. G. approached. He spoke to them as quietly as possible, because the executioner's two assistants were standing right by him, and it was as if they wanted to steal his last moments as a living man. He gave a piece of paper to Mr. P. who tore it at his request, and he gave an envelope to Mr. G. He spoke to them very little. There was one on either side of him and they did not speak to each other either. The wait continued. He requested the prison director and asked him a question about what would happen to his possessions. The second cigarette was finished. Quarter of an hour had already passed. A young and friendly guard approached with a bottle of rum and a glass. He asked the prisoner if he wanted a drink and poured him half a glass. The prisoner began to drink slowly. He understood then that his life would end when he had finished drinking. He spoke a little more with his lawyers. He called back the guard who gave him the rum and asked him to gather up the pieces of paper that Mr. P. had torn up and thrown to the ground. 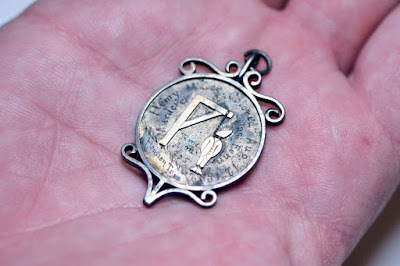 The guard bent down, picked up the pieces and gave them back to Mr. P., who put them in his pocket. It was at that moment that everything became confused. This man is going to die, he knows it; he knows that he can do nothing but delay the end by a few minutes. And he became almost like a child that will do anything to delay bedtime! A child who knows that he will be treated indulgently, and who makes use of it. The prisoner continued to drink his rum, slowly, in little sips. He called the Imam who came over and spoke to him in Arabic. He responded with a few words, also in Arabic. The glass was nearly empty and, in a last attempt, he requested another cigarette: a Gauloise or a Gitane [unfiltered cigarettes made with strong, dark tobacco], because he didn't like the brand that he had been given. The request was made calmly, almost with dignity. But the executioner, who was becoming impatient, interrupted: "We've already been nice with him - very humane - we have to get this over and done with." In turn, the DA intervened to deny the cigarette, despite the prisoner repeating the request and adding very opportunely: "It will be the last." A sort of embarrassment came over the assistants. About twenty minutes had passed since the prisoner sat down on his chair. Twenty minutes, so long and yet so short. The request for this last cigarette brought back the reality, the 'identity' of the time which had just passed. We had been patient, we had stood waiting for twenty minutes while the prisoner, seated, expressed wishes which we immediately granted. We had allowed him to be the master of that time. It was his possession. Now, another reality was appearing. That time was being taken back from him. The last cigarette was denied, and to get it over and done with, he was hurried to finish his glass. He drank the last sip. Passed the glass to the guard. 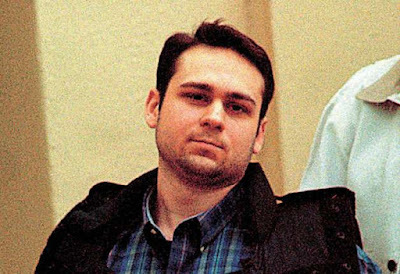 Immediately, one of the executioner's assistants took a pair of scissors from his shirt pocket and began to cut off the collar of the prisoner's blue shirt. The executioner signaled that the cut was not large enough. So, to simplify things, the assistant made two big cuts to the shoulders of the shirt and removed the entire shoulder section. Quickly (before the shirt collar was cut), his hands were tied behind his back with the cord. He was helped up. The guards opened a door in the corridor. The guillotine appeared, opposite the door. Almost without hesitating, I followed the guards who were pushing the prisoner and I entered the room (or, rather, a courtyard?) where the the 'machine' stood. Beside it was an open brown wicker basket. Everything went very quickly. His body was practically thrown down but, at that moment, I turned away. Not out of fear, but by a sort of instinctive and deep-rooted modesty (I can't find another word). I heard a dull sound. I turned round - blood, lots of blood, very red blood - the body had toppled into the basket. In a second, a life had been cut. The man who had spoken less than a minute earlier was nothing more than blue pyjamas in a basket. A guard took out a hose. 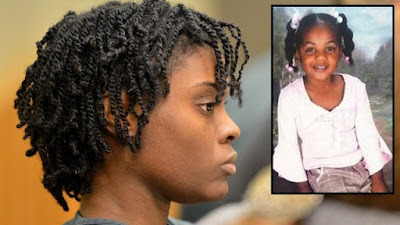 The evidence of a crime needs to be erased quickly... I felt nauseous but I controlled myself. I had a feeling of cold indignation. We went into the office where the DA was childishly fussing around to prepare the official report. D. carefully verified every part. It's very important, the official report of an execution! At 5:10 a.m. I went home. I am writing these lines. It is 6:10 a.m. Translated from the French by Anya Martin and Death Penalty News. Robert Badinter (born 1928) is a French criminal lawyer, university professor, politician and activist against the death penalty, the abolition of which he successfully sponsored in Parliament in 1981. 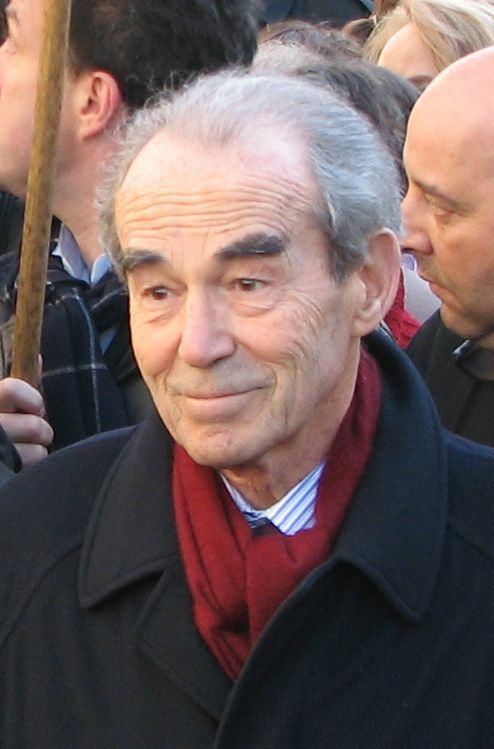 Mr. Badinter served as Minister of Justice and then President of the Constitutional Council under President François Mitterrand. 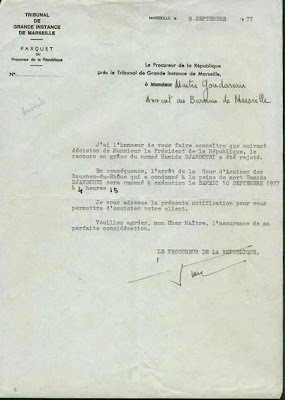 In 1965, along with Jean-Denis Bredin, Badinter founded the law firm Badinter, Bredin et partenaires, where he practised until 1981. 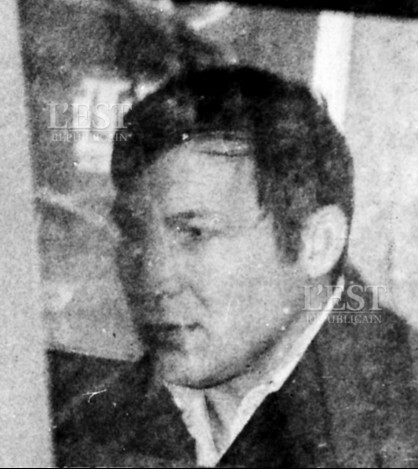 Badinter's struggle against the death penalty began after Roger Bontems's execution, on 28 November 1972. 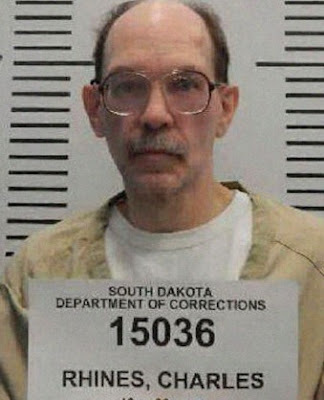 Along with Claude Buffet, Bontems had taken a prison guard and a nurse hostage during the 1971 revolt in Clairvaux Prison. While the police were storming the building, Buffet slit the hostages' throats. Badinter was the lawyer for Bontems, and although it was established during the trial that Buffet alone was the murderer, the jury still decided to sentence both men to death. "Nous arrivâmes. La rue de la [prison de la] Santé était barrée des deux côtés par des policiers. Nous nous arrêtâmes devant le barrage, déclinâmes nos identités, comme chez le président de la République. Il fallait exhiber nos laissez-passer, nos cartes d'avocat. Je pensais qu'il y avait là beaucoup de monde, des gendarmes, des civils, des policiers autour de la grande porte. Nous pénétrâmes comme d'habitude par la petite porte sur le côté, par où passent les avocats, les visiteurs. Quelques mètres encore, une autre porte à franchir. J'entrai dans la cour. La guillotine était là. "Je ne m'attendais pas à la trouver tout de suite devant moi. Je m'étais imaginé qu'elle serait cachée quelque part, dans une cour retirée. Mais c'était bien elle, telle que je l'avais vue, comme chacun de nous, sur tant de vieilles photographies et d'estampes. Je fus surpris cependant par les montants, très hauts, très minces qui se découpaient sur la verrière, derrière elle. Par contraste, le corps de la machine me parut plus petit, comme un coffre assez court, Mais telle quelle, avec ses deux grands bras maigres dressés, elle exprimait si bien la mort qu'elle paraissait la mort elle-même, devenue chose matérialisée, dans cet espace nu. L'impression était encore renforcée par le dais noir, immense, tendu comme un vélum ou un chapiteau sur toute la cour. Il cachait ainsi la guillotine aux regards qui, d'en haut, auraient pu plonger sur elle. 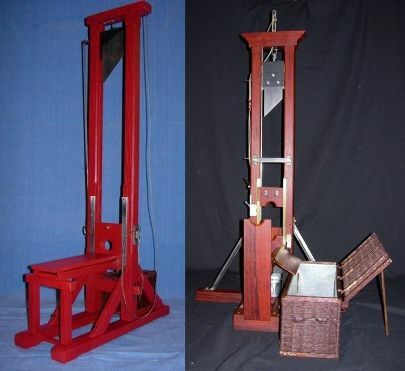 Ce dais qui dérobait tout le ciel transformait la cour en une sorte de salle immense, où la guillotine se dressait seule, comme une idole ou un autel maléfique. Les aides s’affairaient autour d'elle. Le symbole était aussi la machine. Et cet aspect mécanique, utilitaire, confondu avec la mort qu'elle exprimait si fortement, rendait la guillotine ignoble et terrible. "Je passai à côté d'elle me refusant à ralentir ou à presser le pas, à la contempler ou à l'esquiver. Elle était bien le terme de Clairvaux. Buffet ne s'y était jamais trompé. "Bientôt cinq heures. Il fallait faire vite. Le directeur, courtoisement, me prit à part. Il y avait un problème. Lequel donc ? Qui allait-on exécuter en premier ? Buffet ou Bontems ? Une voix à côté de moi suggéra Buffet. Il y était préparé, il n'y aurait pas d'histoires. Je dis au directeur que j'allais en parler avec mes amis. C'était à nous de choisir. Nous nous retirâmes dans le couloir. Je posai la question. L'accord se fit aussitôt. Buffet attendait la mort. Bontems la grâce. Buffet ne pouvait fléchir. Quelle serait la réaction de Bontems ? Il fallait donc que pour lui l'attente soit la plus brève possible, que les choses aillent vite, très vite. Bontems passerait le premier.. Je rapportai notre décision au directeur de la Santé. Il me regarda, parut préoccupé, mais ne dit rien. Peut-être avions-nous empiété sur la prérogative du bourreau, ou bien était-il choqué que ce soient les avocats qui décident du tour de la mort de leurs clients ? Nous étions au-delà des délicatesses. Nous avions gagné quelques minutés à vivre pour Bontems. C'était notre succès. Le seul. "Je ne pouvais plus supporter ce bureau, ces présences. Je regagnai le couloir. L'aumônier de la Santé était assis sur une banquette, en complet gris foncé, à col rond. Je pris place à ses côtés. Il me demanda : "C'est votre première exécution ?" J'acquiesçai. C'était aussi son cas. "Un monsieur couperosé passa, le chapeau sur la tête, suivi du directeur. Il avait l'air mécontent. C'était le bourreau. J'entendis : "Il faut y aller, il est temps." J'avais très chaud dans ce corridor. J'enlevai mon pardessus, allai le poser dans le bureau du directeur. Tout le monde en sortait en désordre. Je me hâtai de rejoindre le groupe, qui marchait à pas pressés. Nous franchîmes la première porte, entrâmes dans la rotonde. Je cherchai des yeux le surveillant-chef. Il n'était pas là. La marche s'accéléra encore. Les gardiens ouvraient les grilles très vite, nous avancions à grands pas, nous courions presque dans le couloir. C'était grotesque et sinistre à la fois. Le cortège s'immobilisa. Nous étions arrivés devant la cellule de Bontems. Un gardien faisait jouer le verrou à toute force. La porte s'ouvrit tout grand, la lumière jaillit. Bontems sauta du lit, torse nu. Il retenait son caleçon d'une main, ses yeux clignotaient. Je le vis sourire et j'entendis : "Alors c'est oui ou c'est non ?" Déjà la procureur de la République était dans la cellule. Il disait la phrase rituelle, du moins je le crois, car dans la confusion, il ressortait tandis que nous entrions Philippe et moi dans la cellule, avec des gardiens. "Le gardien-chef, celui qui avait donné la cigarette, nous fit signe. Il était temps de quitter la cellule. Nous repartîmes, à travers les couloirs, les grilles ouvertes. Des gardiens ouvraient la voie, Bontems derrière eux, Philippe le bras autour de ses épaules, lui parlant toujours à voix basse. A la rotonde, il y avait déjà du papier, un stylo, des enveloppes tout prêts sur la table. Bontems s'assit. Il hésitait, la pointe levée. (...) Ce fut bref. Il devait sentir autour de lui cette hâte d'en finir, ou bien il ne voulait pas laisser la pensée de ses parents monter en lui, à cet instant. Philippe avait toujours la main sur son épaule. Bontems se leva, lui remit la lettre. Nous reprîmes notre marche jusqu'à la prochaine station. "Dans une sorte de bas-côté, l’aumônier avait dressé l'autel. Le Christ tendait ses bras vers les grilles. Deux gardiens s'étaient placés chacun d'un côté du bureau recouvert du linge sacré, un peu en retrait, étrange présence en cet instant. L'aumônier attendait Bontems. Il le mena dans le fond, derrière l'autel. Nous nous arrêtâmes. Bontems était tout proche du prêtre. Il se confessait sans doute. A présent le prêtre lui parlait. Tout était silencieux. Je me retournai. Il y avait là des gardiens, des policiers, des gendarmes et le bourreau qui avait gardé son chapeau sur la tête. (...) Tous, et sans doute moi aussi, montraient une sorte de rictus. La lumière électrique durcissait encore leurs traits. Ils avaient tous à cet instant des gueules d'assassins. Seuls le prêtre et Bontems, qui recevait l'absolution, avaient encore des visages d'hommes. Le crime avait changé de camp. "Bontems revint ver nous. Nous reprîmes encore une fois notre marche. Devant la porte vitrée, celle qui ouvrait sur la cour, une chaise était posée. Devant elle, nous nous arrêtâmes. Le gardien-chef, qui avait donné la cigarette, s'approcha, une bouteille à la main. C'était du cognac, Bontems accepta, vida le gobelet d'un seul trait. Et puis, à partir de cet instant, tout alla très vite. Le bourreau s'approcha. Bontems lui appartenait totalement enfin. Les aides, en bleu de chauffe, entourèrent Bontems. Il fut assis sur une chaise, ligoté, redressé, on tirait sur les liens à coups secs. Philippe lui parlait, il hochait la tête. Il fut empoigné. Philippe l'étreignit, je l'embrassai à mon tour. Déjà on l'entraînait. Je tendis la main vers lui, vers cette épaule nue, mais il était happé, emporté. La porte s'ouvrit. Philippe laissa échapper une plainte, la seule. Je me détournai. Nous entendîmes le claquement sec de la lame sur le butoir. C'était fini."